Among the thousands of people who ran the Boston Marathon Monday was a man who just five years ago weighed 100 pounds more than he does now and could not run more than two minutes at a time. Andy Bell, of Lewisberry, Pennsylvania, completed the 26.2-mile race in brutal conditions. As the race began Monday in Hopkinton, Massachusetts, the temperature was 40 degrees with a wind chill of 29 degrees, and wind gusts reached 30 mph. Bell’s transformation from out-of-shape high school basketball coach to an athlete running in one of the world’s most exclusive marathons began with a simple 5K race on Thanksgiving that he says his wife forced him to enter. Bell, a high school sociology teacher, had just been to the doctor before his 40th birthday and was told he needed to take blood pressure medication and that he was on the fast track to diabetes. "He was a heart attack waiting to happen," said Bell's wife, Heidi Bell. "There was a realization that [if things didn't change], he wasn't going to be around for as long as we wanted him." 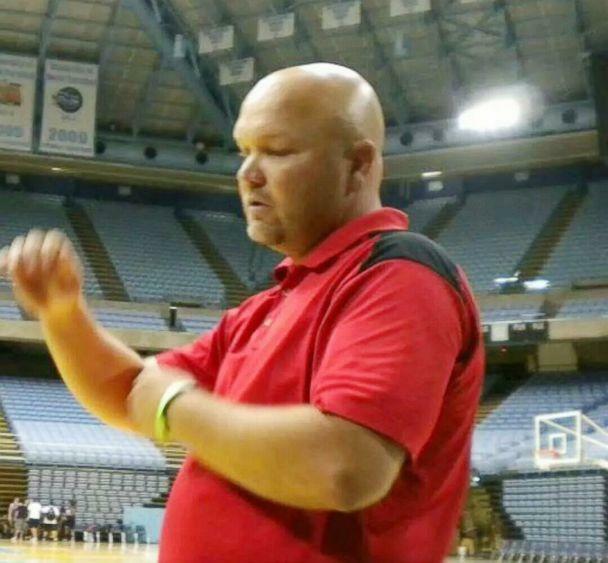 At nearly 300 pounds, Andy Bell decided he would run for 10 minutes on a treadmill at his high school’s gym after basketball practice ended every day. Andy Bell decided to eliminate fried food and soda from his diet. He kept running on the treadmill every day, just aiming to run 30 seconds or one minute more than the day before. 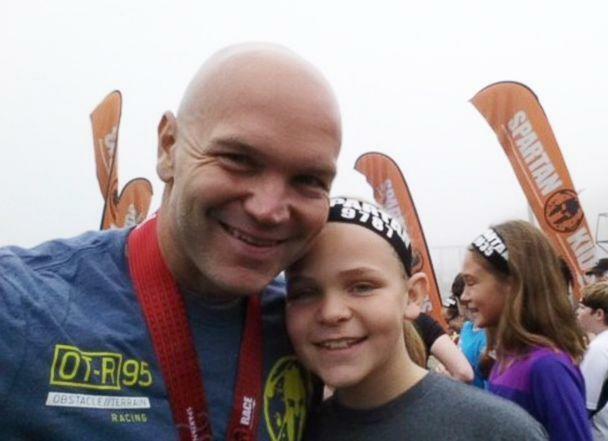 Andy Bell, who played multiple sports in high school, completed the Turkey Trot and learned that he loved to run. “I just discovered I was at peace when I was running and it just fueled me to keep adding time,” said Andy Bell, who does not listen to music when he runs, focusing instead on his heartbeat, his steps and the environment around him. The more he ran, the more weight he lost. The more weight he lost, he said, the faster he ran. 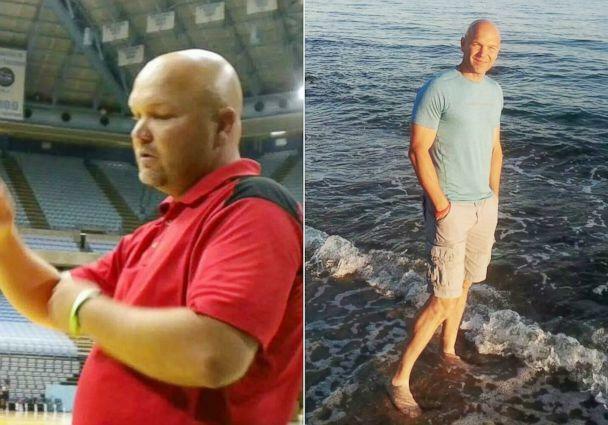 Within one year, Andy Bell said he lost 100 pounds. 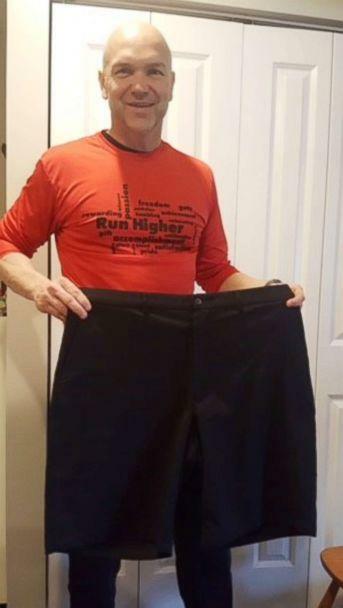 Today, five years later, he has maintained the weight loss and completed 11 marathons, three ultramarathons and 100 Spartan races -- running races that also include extreme obstacles. "Once he decides to do something, he gives all of himself to it," Heidi Bell said of her husband. "It's nice to be reminded that we're capable or more than we think we are, and he's a perfect reminder of that." 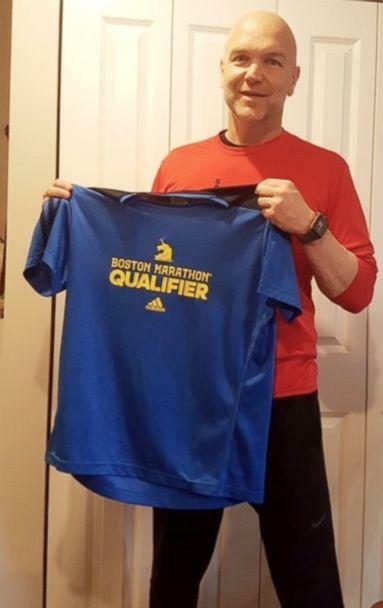 Andy Bell, who is now a certified personal trainer, qualified for this year’s Boston Marathon in his age group by more than six minutes. He wakes up at 4:55 a.m. to get his workout done before his wife and three daughters start their days. He follows an eating plan of “everything in moderation,” he said. He and his wife made their trip to Boston a celebration weekend, marking the longest time the two have been apart from their kids since their oldest, 19, was born. “We’re viewing this as our celebration,” said Andy Bell, who had a racing shirt custom-made for the marathon with his wife and daughters’ names on his sleeves. “[I’ll be] collapsed, head in my hands and the emotions will be flowing,” Andy Bell said.